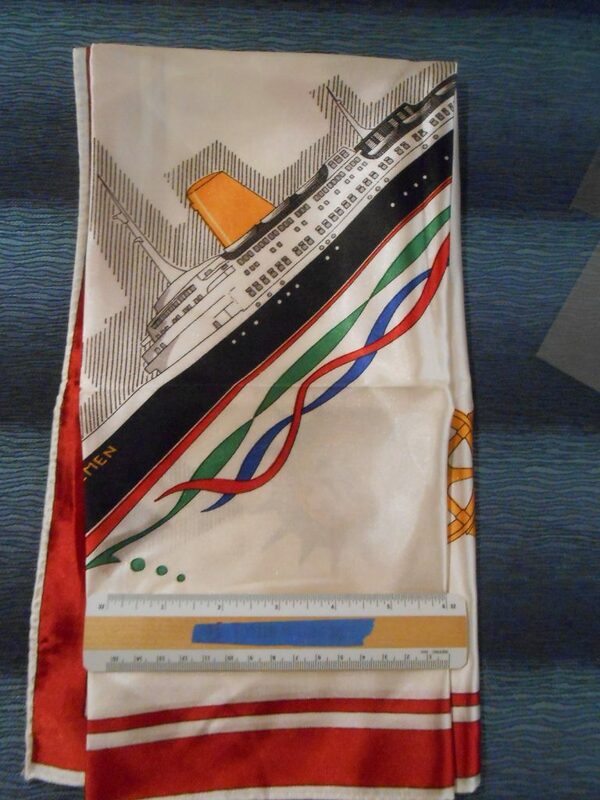 Pristine and like new .... excellent heavy silk/ rayon scarf for NDL's Bremen and the Europa. I have seen these offered in many border colors ... this one has a red boarder. Super condition and getting harder to find.